Sorry, I've been away for so long. I was in a terrible car accident. Rosa, I'm so glad you like my books. I actually went to Scotland a few years ago with my mother. It is an amazing country. Ria, thanks for liking my books from Canada. I've been to a few places there, most recently Niagara Falls. It is beautiful! I am married. 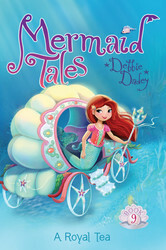 I am writing Mermaid Tales #13 right now! Jayde, I hope your first day of school went well. As I get older, I understand that most people are nervous about first things and they really appreciate a smile and someone just saying hi!. Good luck! A big hello to Aldo, Valeria, and Abby! Bella, good luck with your writing. You might like to check out my writing page for a few tips, videos, and podcasts. My newest book is A Royal Tea. I will actually be signing it and other books tomorrow at Sparta Books in Sparta, NJ at 11-12:00 tomorrow. Hi Dylan, Siah, and Morgan-I am so glad you like my stories. Dylan, do you have a favorite Bailey School Kids book? Click here to see a list of all of the numbered Bailey School Kids books. Click here for a list of the Super and Holiday Specials. 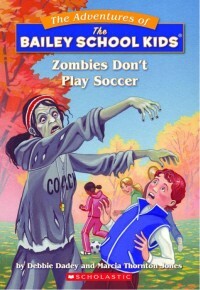 There are two spin-offs: Bailey School Kids Junior Chapter Books and the Bailey City Monsters. Hope you'll check out the games and things on my Bailey School Kids page.